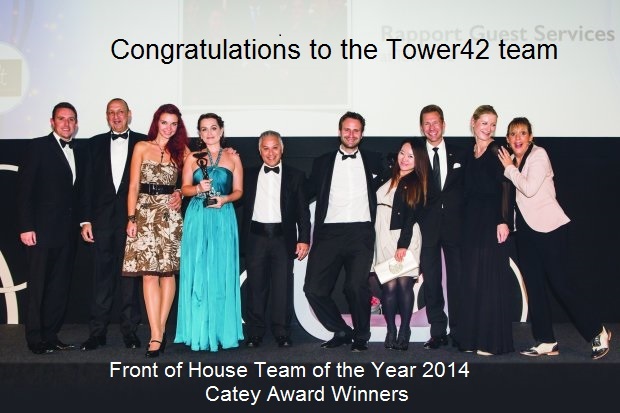 Congratulations to our Front of House Team who won their category at the Catey Awards 2014 last Friday night. The trophy is on display in the cabinet on podium level outside the management office. This entry was posted in Uncategorized on October 16, 2014 by sh6yw.